Brian Regan. Photo by Friedman Bergman. 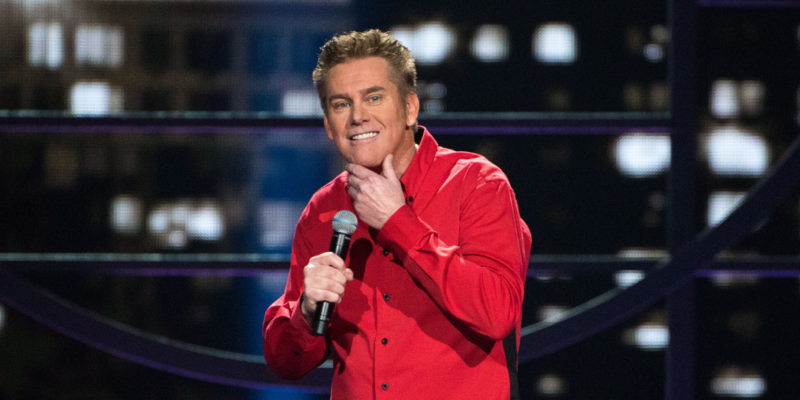 Stand-up comedian Brian Regan talks with SoCalPulse about his upcoming Orange County show and his journey to the dark side. With his latest TV series—the Netflix sketch comedy Stand Up and Away! With Brian Regan, and Loudermilk from Peter Farrelly that airs on Audience Network—veteran comedian Brian Regan has put a creative new spin on his sense of humor. Regan’s binge-worthy Stand Up and Away! infuses hilarious, short, situational skits played intermittently between stand up bits, while Loudermilk channels the darker side of comedy, a new territory for the famed jokester. Although Regan may be exploring new ways to make us laugh, the man often hailed by fellow comics as the comedian’s favorite comedian isn’t straying far from his stand-up comedy roots as he prepares to release his second hour-long Netflix special. (The first, Nunchucks & Flamethrowers debuted in 2017.) Regan performs some of his newest material on his current national tour, which arrives at O.C.’s Segerstrom Center for the Arts on April 5. Regan explored these topics in a recent conversation, edited for length and clarity. Tell us how the idea for Stand Up and Away! came to life. I had shot a pilot by myself about 5 years ago and never did anything with it, but I learned a lot. I held onto this idea for a show and was hoping somehow, somewhere, that I could get somebody to do it. And then, I was fortunate enough that Jerry Seinfeld reached out to me. I’ve always been a huge fan of his, and he’s been a supporter of mine over the years which has been tremendous. Jerry said that he felt I should have a TV show. It was kind of an amazing phone call to get, like being knighted. Long story short, we met, I pitched the idea, he said he liked it, and he backed me on the show as far as Netflix was concerned. So he kind of spearheaded it for me. What inspired you to reinvent yourself in this way and do something new that you haven’t done before? Well, I’ve tried in the past to go the more conventional route—in terms of trying to think of a sitcom. The problem with a sitcom is that you need consistent throughlines, you need other characters, they need backstories and all that sorta thing. I looked at my comedy and I realized that I think in one-minute bursts. All my standup bits are little vignettes, and I string them together and make a comedy show out of it. I told myself that if I ever have the opportunity to do a TV show, I want it to be the same kind of thing, where I can think about anything and everything and not worry about it fitting into a throughline on a sitcom. So this idea gave me that opportunity where I can do standup, think of sketches that last a minute or two, and just string it all together to create a quick—and hopefully funny—experience. How has your relationship with Jerry Seinfeld influenced your career overall, beyond the new Netflix series? It’s been tremendous. I first met him in New York before he had his sitcom. He was huge in the standup world, but hadn’t blown up in the public eye yet. And of course, once Seinfeld aired, he became a superstar. I was doing a show at Catch a Rising Star—a big comedy club in New York—and he popped in while I was on stage. He was at a level where if he came in, he could just go next. He watched my show and as I got off the stage he said some nice things about me. So that’s how we met. And we’ve been friendly over the years. I’ve opened for him a handful of times. I’ve been on his show Comedians in Cars getting Coffee a couple of times. And with this experience of him backing me on the Netflix show has been amazing to have the support of somebody of his caliber. When I was a kid. My dad was funny. My mom was funny. My brothers and sisters were funny. And we always made each other laugh. One of the first times I remember making my dad laugh, it was inadvertent. We were in the station wagon passing a funeral procession and I asked my dad, “Hey Dad, have you ever seen a real live dead man?” And he just started laughing. He laughed for five minutes. Then he said, “Brian, I don’t know how your brain works.” But I wasn’t saying it as a joke. I just didn’t realize how silly it was. But I remember thinking, I guess that’s funny when you look at it a certain way… So that was one of the beginning moments for me in starting to think how jokes work. 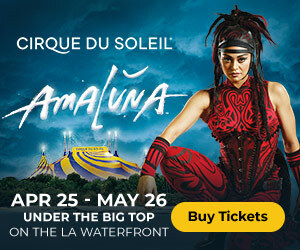 For your April 5 show at Segerstrom Center for the Arts, what can fans expect? I have a standup comedy special on Netflix called Nunchucks and Flamethrowers that was released in 2017, and I will be doing another hour-long standup special for Netflix this year, moving away from older material and bringing in new material. There will be some things that people have heard, but 70 percent of what I do on stage has not been on television before. What’s next for your fans to look out for from you? My role on Loudermilk, which is a departure from my standup comedy. Loudermilk is a dark comedy about substance abuse. It just got picked up for our third season. I play a character named Mugsy, a guy who is recovering from substance abuse who attends small group discussions telling stories that revolve around his life. It’s funny, but it’s also serious, and it’s given me an opportunity to stretch my wings a bit and try the acting thing. It’s a wonderful series with a lot of real moments and heart. I love being a part of it.